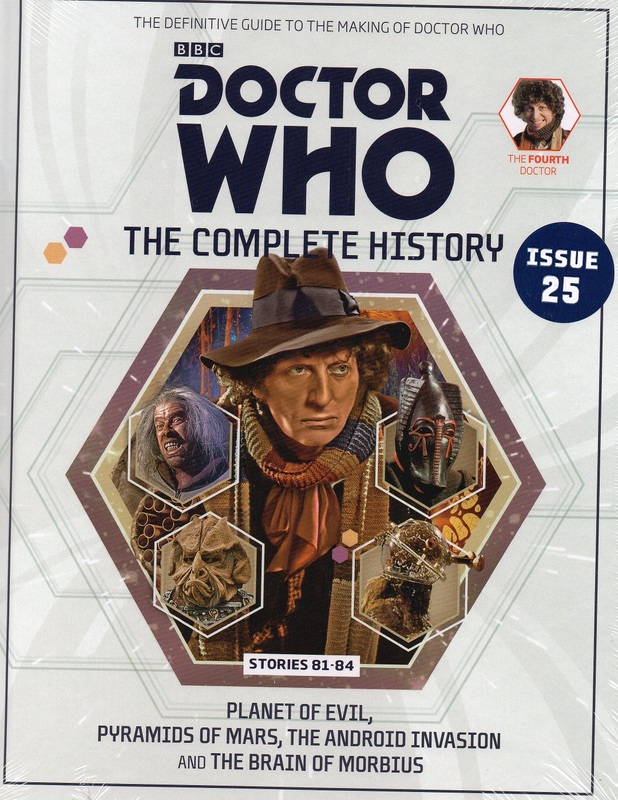 The Fourth Doctor fronts the 25th issue of Doctor Who: The Complete History, the fortnightly partwork that launched nearly a year ago (!) – and it’s bound to be a popular edition. In the jungles of Zeta Minor, a terrifying creature stalks a survey team. 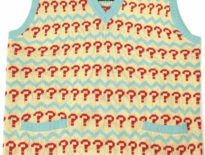 Can the Doctor escape dark forces from another universe? Marcus Scarman returns from Egypt a changed man and seeks to release the evil Sutekh from his pyramid prison. The Earth will be laid waste unless the Doctor can avert catastrophe. Not all is as it seems when the Doctor and Sarah take refuge in the village of Devesham, where not even friends can be trusted. What do the Kraals have planned for Earth? On the planet Karn, Mehendri Solon builds a body for the brain of the Time Lord criminal, Morbius. Arriving to bring Morbius to justice, will the Doctor succeed without losing his head? 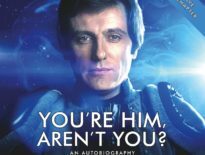 Okay, so the two serials most think to be classics are of course Pyramids of Mars and The Brain of Morbius, prime examples of the moody era of producer-script editor teams, Philip Hinchcliffe and Robert Holmes. I rewatched The Android Invasion recently and it’s a very enjoyable (but somewhat illogical) story with plenty of pleasing imagery, but sadly, not an apt final story for Harry Sullivan or Benton. Doctor Who: The Complete History #25 is out now, priced £9.99 in the UK and $24.99 in Australia and New Zealand. ← Is Power of the Daleks Being Animated for a DVD Release?